Taking on the challenges present during a water heater flood, pipe burst, or any other form of water damage requires highly trained, skilled, and timely technicians such as 911 Restoration Imperial County owner Joe Parra, or their water damage Palm Desert team. Eliminating water damage aftereffects requires immediacy and his is why Joe and his water damage Palm Desert crew can be at the site of a distress call within 45 minutes to begin the healing process. In addition to being able to show up at the site of a project in a timely manner and with all of the proper equipment to do the job right, Joe and the water damage Palm Desert team are also available to take on anything at any time by being available 24/7/365 no matter what. Don’t let a ceiling leak, water heater malfunction or any other form of water damage ruin your lovely home. Contact our water damage Palm Desert crew with 911 Restoration Palm Desert and get anything you need taken care of today! 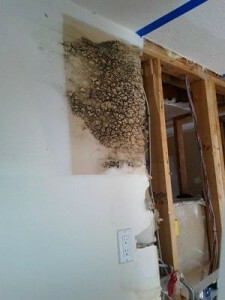 Joe and the water damage Palm Desert team know all there is about the various methods for eliminating the effects of a water damage invasion, but they are also highly sought after professionals when it comes to preventing such situations too. Never let the debris and leaf matter pile up in your gutters as this may create an overflow scenario that can force water damage into the recesses of your roofing materials and attic. Make sure you check on the fittings, connectors, and rubber hoses that link your water-based appliances to the main line. These can experience wear and tear over the years and fail when you least expect it. Take a look at the pipes that are exposed in your home or business and see if you notice any rusting, or puddling underneath them. This can be a sign of a corroded section that might fail when put under pressure. Take a moment once a year or so to trim the trees on your property to ensure that there are no dead limbs that can come down in high wind that might impale your roof and let storm water inside. Let a plumbing or restoration expert take a look at your entire system once a year or so to ensure that you don’t have any small obstructions that might turn into larger ones with more pressure or more time. Don’t let your home get flooded with water damage from a ceiling leak, pipe burst or any other means. 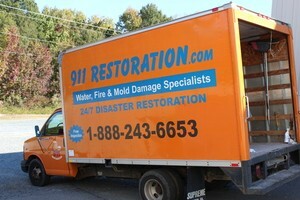 Contact our water damage Palm Desert team with 911 Restoration Imperial County today! Joe and the water damage Palm Desert professionals know about every aspect of the restoration industry and all of the variables that water damage can bring about, which is why they were the go-to call made by a homeowner who tried to take on a kitchen remodel on their own and ended up causing a huge leak. When Joe and the water damage Palm Desert staff rushed over with air movers, dehumidifiers and extraction tools to completely eliminate any trace of residual moisture. If your home is already amid a water damage incident from any sort of DIY attempt, then don’t wait another minute to contact Joe and the water damage Palm Desert team today!